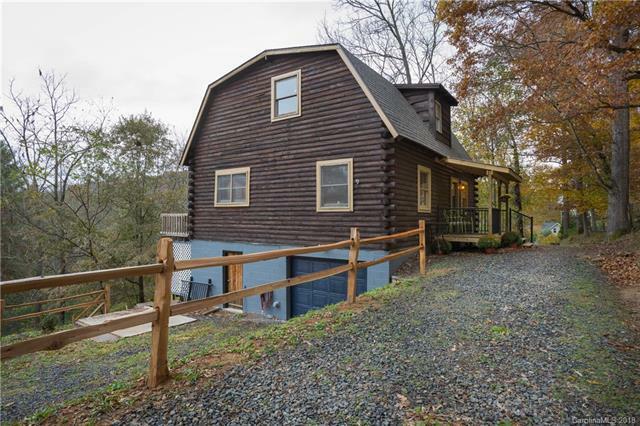 Completely remodeled log home in the popular Oak Park Community. Upgrades include a new roof, flooring, exterior staining and trim, interior paint, granite counters in the kitchen, updated bathrooms, plumbing, and electrical upgrades. 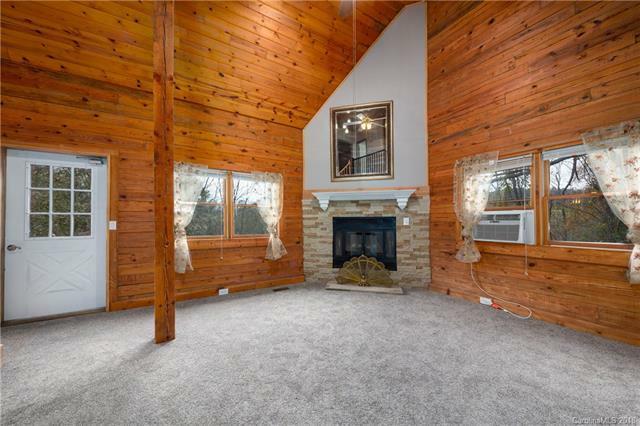 The home features an open living area with vaulted ceilings. 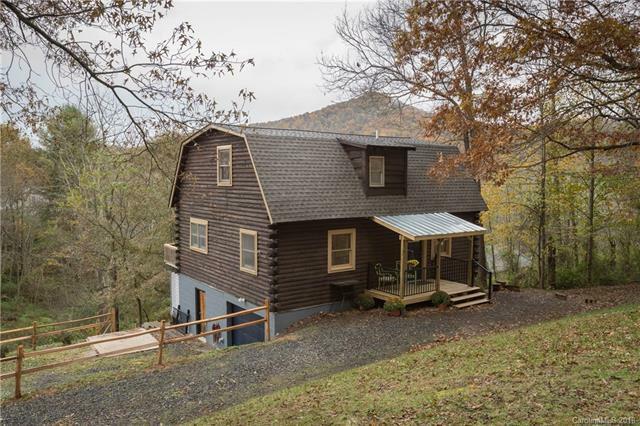 Great room offers a fireplace and access to the back deck to enjoy the surrounding mountain views. Open kitchen includes sleek tile backsplash. Two bedrooms and 1 bath on the main level, 1 bedroom 1 bath on the upper level and spacious loft. Plenty of storage in the basement including a 1 car garage. Great deck space on the backside of the home and a quaint covered porch at the entry. 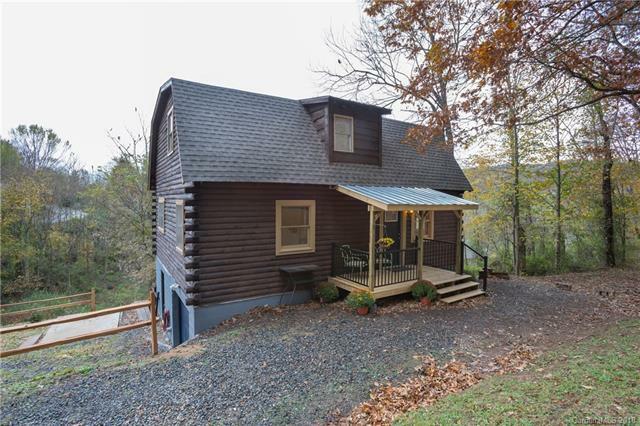 Located in Clyde the home is central to all of Haywood County amenities and 25 minutes to Asheville. Over $70,000 in improvements and updates! Offered by Better Homes And Gardens Real Estate Heritage. Copyright 2019 Carolina Multiple Listing Services. All rights reserved. The data relating to real estate on this Web site derive in part from the Carolina Multiple Listing Services, Inc. IDX program. Brokers make an effort to deliver accurate information, but buyers should independently verify any information on which they will rely in a transaction. All properties are subject to prior sale, change or withdrawal. Neither Besecker Homes Team | Keller Williams Realty nor any listing broker shall be responsible for any typographical errors, misinformation, or misprints, and they shall be held totally harmless from any damages arising from reliance upon this data. This data is provided exclusively for consumers' personal, non-commercial use and may not be used for any purpose other than to identify prospective properties they may be interested in purchasing. © 2019 Carolina Multiple Listing Services, Inc. Data last updated 2019-04-24T07:58:40.123.